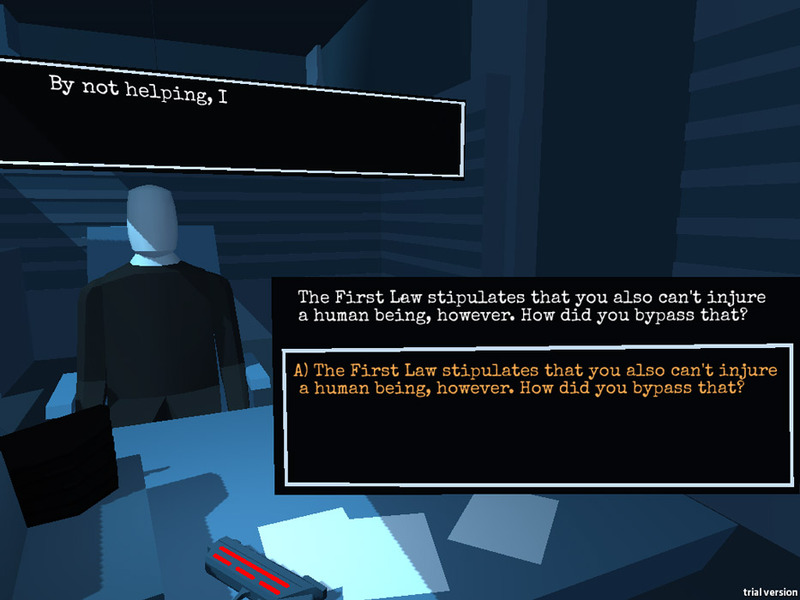 "A short but very interesting interrogation game"
Electric Tortoise is something of a misleading title for what is actually a text based interrogation game but this game is certainly very curious and interesting. Set in a future where we have robot servants one of the robots claims to have assisted his master in a successful suicide attempt. 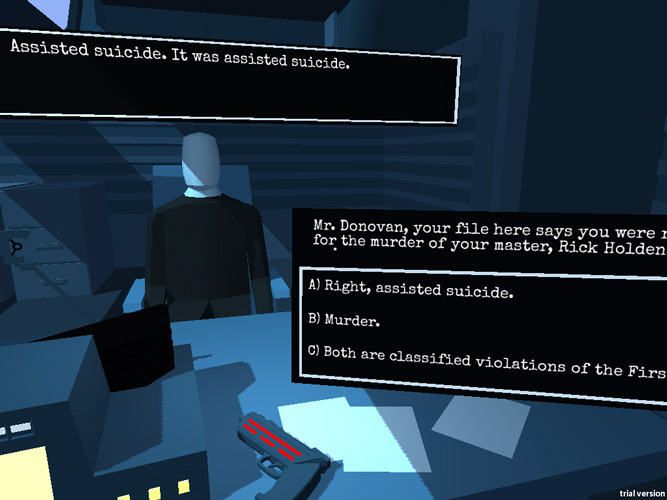 You must determine whether or not it was a murder, suicide or assisted suicide by interrogating the robot. 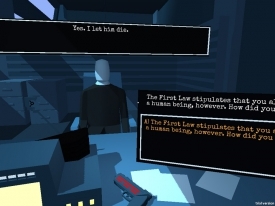 It’s a very cool idea and these kind of mystery games will always appeal to those of you who have dreamed of being detectives however with this being a trial version it’s sadly very short and the whole game can be completed in just a few minutes however it’s a promising teaser of what’s to come should this be made in to a larger game perhaps with a few different cases to get your teeth in to as although it’s possible to see the promise in Electric Tortoise it would have been nice if there was a bit more depth to the story and a little bit more intrigue. That being said it’s a game you will want to play if you like the idea of solving cases even if it’s only to get a feel of what’s to come in the future from the developers. You can download Electric Tortoise here for free.